Petone has a strong connection to WWI history, with local industry providing support and local men going to serve, including 120 men who never came home. Preparations are underway all around New Zealand for the upcoming Anzac Day commemorations, which marks 100 years since the Gallipoli campaign. 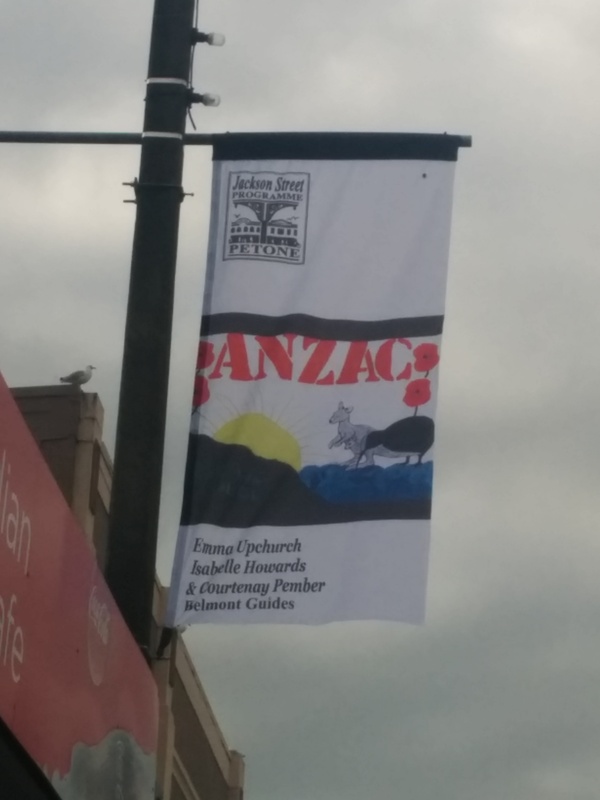 We’re about to install a new Anzac display at the museum tomorrow and we have a special flag exhibition on show already, in partnership with our good neighbours, the Jackson Street Programme. The very first public commemoration of Anzac Day in New Zealand was held at 3.30pm April 25th, 1916 at the Petone Railway Station. The day was attended by government and was marked by a special flag ceremony at the suggestion of railwaymen in Hornsby, New South Wales, who wanted to exchange flags with a New Zealand railway depot to symbolise the comradeship between New Zealand and Australian railwaymen at Gallipoli. 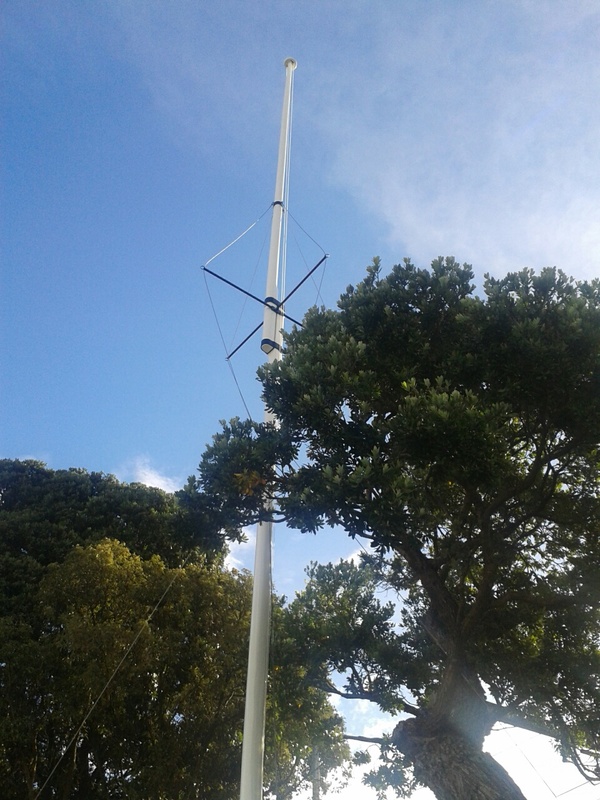 The flagpole was made from a combination of kauri and Australian hardwood to reflect the coming together of two countries. 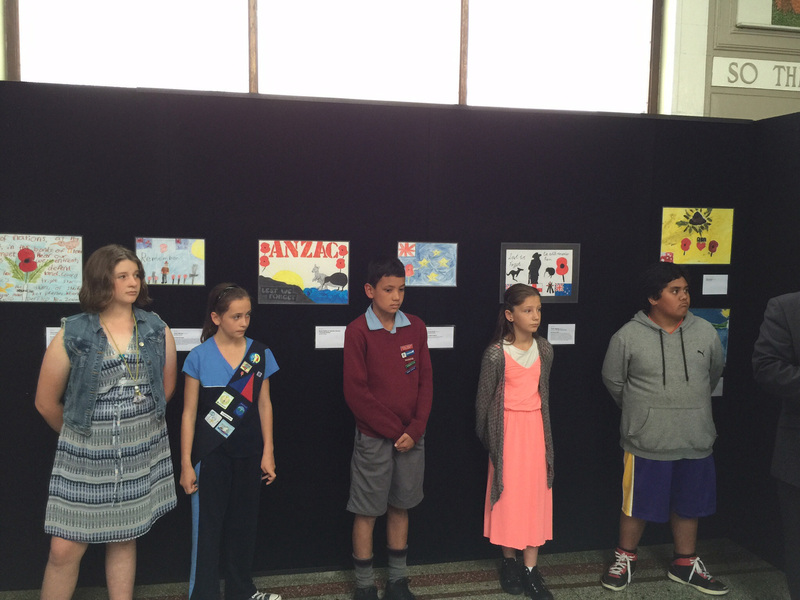 To mark the 100th anniversary of Gallipoli and Petone’s important flagpole, four local schools, St Augustine’s Scouts and the local Girl Guides were invited by the Jackson Street Programme to design a contemporary Anzac flag. Five winning designs are now flying in Jackson Street. Over 100 beautiful design entries were submitted in total and we are displaying these at the museum. When the display was installed we hosted a little award ceremony for the children and their families. The Mayor of Lower Hutt was a guest speaker, along with a local returned serviceman and Leonie from the Jackson Street Programme. Here’s our winners in front of their amazing entries. 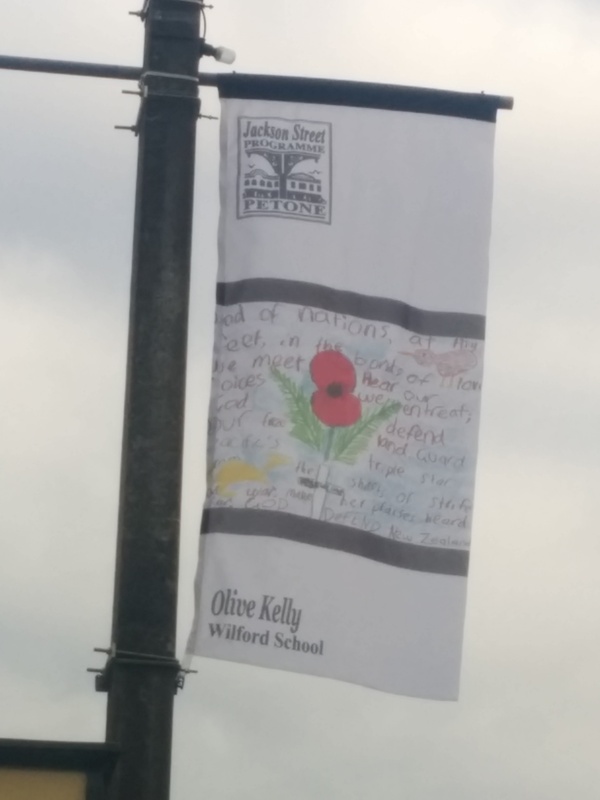 Congratulations to all the children who took part and a big thank you to the Jackson Street Programme for inviting us to be part of this project. (Photos from the Jackson Street Programme). This entry was posted in PSM and tagged Anzac Day 2015, Jackson Street Programme, WWI. Bookmark the permalink.